The Lawson cypress, also known by its botanical name chamaecyparis lawsoniana, is an evergreen conifer native to the American states California and Oregon. It is known to be one of the fastest-growing conifers, although it must be noted that all hedging plants, including all conifer species, pale in comparison to the vigorous growth rate of the Leyland cypress. The Lawson cypress is alternatively known as the false cypress, as this species does not actually belong to the cupressus or cypress genus. As a tree, the Lawson cypress has the ability to reach over 40 metres in height, although this will not happen if the trees are grown in a hedgerow, in which case they will make a dense, compact and formal hedge. This handsome species has blue-green, blue-grey or yellow-green leaves that are scale-like in appearance. These leaves are also quite aromatic, giving off a parsley-like fragrance. 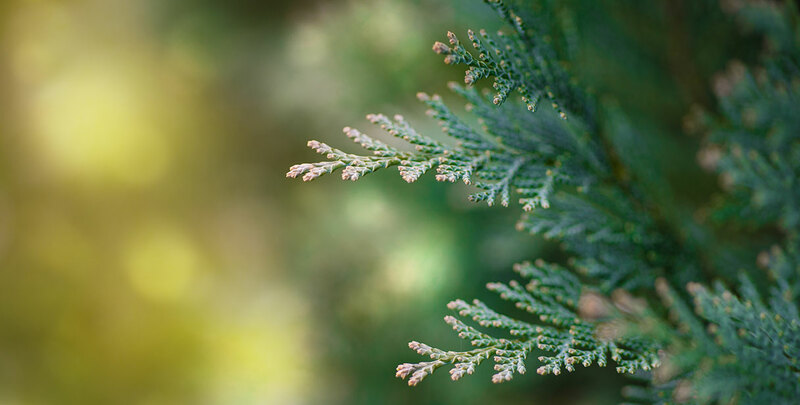 Which of these colours the foliage will end up having depends on the variety chosen: the Lawson cypress ‘Columnaris Glauca’ can be recognised by its bluish foliage, while the Lawson cypress ‘Ivonne’ or ‘Startdust’ stand out due to their attractive, yellowish green leaves. This species greatly resembles the Leyland cypress in terms of appearance. However, while the faster-growing Leyland cypress is one of the top-selling hedging plant species in the UK, the Lawson cypress is generally considered to have more appealing foliage. And as the Lawson cypress is an evergreen, its beautiful foliage can be enjoyed throughout the entire year. 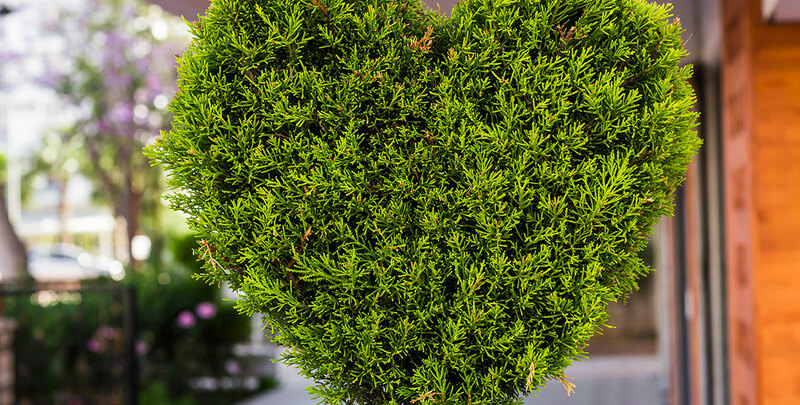 Why Choose a Lawson Cypress Hedge? The Lawson cypress was first discovered around the middle of the nineteenth century near Port Orford in Oregon by employees of the Lawson & Son nursery, which was in the Scottish capital of Edinburgh. Though the species is officially known in the United States as the Port Orford cedar, British botanists generally refer to this plant as the Lawson cypress. Its status as a globally appreciated plant is confirmed by the fact that its wood is widely exported to Japan, where it is very commonly used in shrines, temples and coffins. Since its grain is remarkably straight, Lawson cypress wood is also one of the most sought after wood types for the production of arrow shafts. Its tonal qualities make it very appropriate for use in guitar soundboards. The ornamental value of the Lawson cypress has not been overlooked, however. This is hardly surprising, as the beauty of its foliage is almost impossible to ignore. A large number of cultivars with varying crown shapes exist, all of them specifically developed for garden planting. Through the years, the Lawson cypress has become a fairly common sight in gardens across Europe and the UK and since it is reasonably tolerant of pruning and it does not take much time for this species to grow a dense, compact hedge, it is a very suitable plant for hedging purposes. 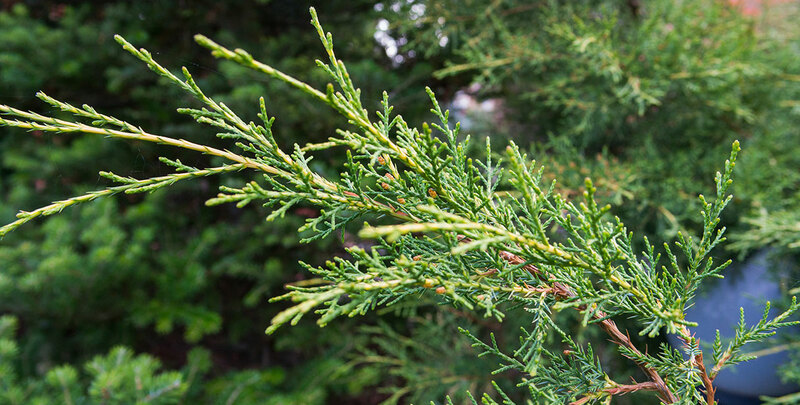 Because of these qualities, the Lawson cypress has grown to be one of the more popular coniferous hedge plants. Like many other conifer species, they are relatively formal in appearance. It is beyond doubt that Lawson cypresses make excellent hedge plants. The Lawson cypress is able to make a dense, compact and formal hedge that provides privacy and excellent screening within a couple of years, although the actual time it takes before a Lawson cypress hedge is dense enough depends on the size of the saplings you buy. Lawson hedges will grow approximately 30 centimetres per year and are easily clipped to shape with one or two pruning sessions a year. This makes the Lawson cypress a relatively low maintenance hedge plant when compared to the fairly similar Leyland cypress, which has twice the growth rate of this species and as a result, is significantly harder to keep in check. Lawson cypress hedges respond poorly to hard pruning into old growth, as they do not produce new growth from old wood, so make sure you do not skip annual pruning, as you could end up with an irreversibly overgrown hedge. As long as you keep clipping your hedge to shape once it has reached the appropriate height and thickness, it should be fine. Lawson cypress hedges will grow in most soils, even poor ones, but do not thrive in lime or waterlogged soils, so make sure the soil you plant your hedge in is well-drained. However, this does not mean that Lawson cypresses dislike water. Quite the contrary. The first couple of years after they are planted, Lawson cypresses need to be watered regularly to ensure healthy growth, as they are fast-growing. Your Lawson cypress hedge is best off in the full sun or semi-shade in a normal or dry soil, where it will make an attractive, frost hardy, long-lived hedge. The species even tolerates exposed and windy locations, which makes Lawson cypress ideal as a windbreak hedge in any garden. Lawson cypresses are generally appreciated for their attractive colours, but their tolerance of dry soils makes them fairly unique even when compared to other conifers, which generally do not thrive on dry soil. It does, however, have the hardy, evergreen nature of a conifer and will therefore function as a fully natural garden wall even during the winter months. While the Leyland cypress is a more popular hedging plant in the UK, the Lawson cypress has several advantages over its faster-growing lookalike. 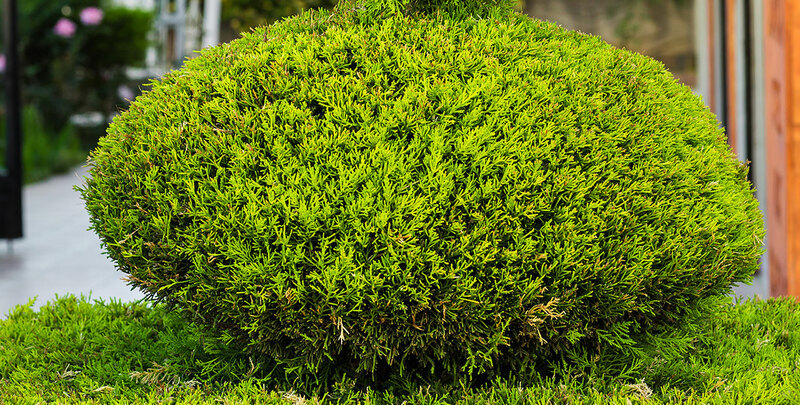 If the conditions in your garden allow for a Lawson cypress hedge to grow, it may just be the better choice, as its foliage is more attractive and it is significantly easier to maintain.